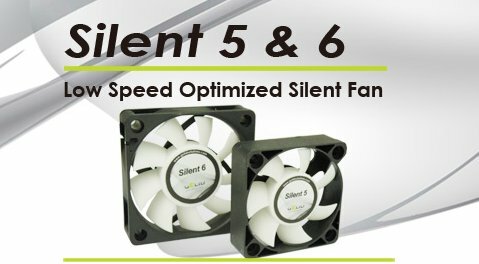 GELID presents the Silent 5 and Silent 6, new 50mm and 60mm fans that promise silent operation for mini PCs. Both models come with a five year warranty, the 60mm model runs at 3200RPM and generates a noise level of 24dBA, while the 50mm edition spins at 4000RPM with a noise level of 23dBA. CFM details are unknown. Both models are now shipping for $5 (3.9EUR).